These two…dashing good looks, chalked full of personality, and just so dang easy to spend time with. Everything about them screams non-traditional and that is totally my jam! 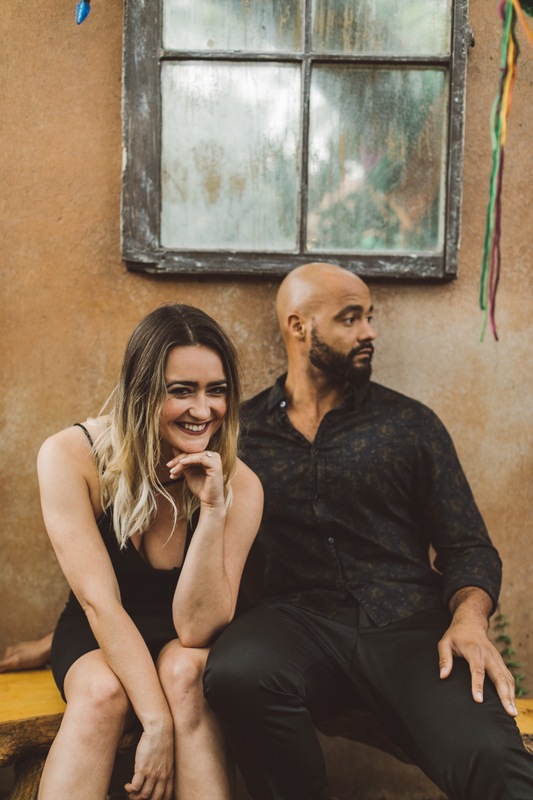 Their intimate wedding of less than 40 people is happening at Smog Shoppe this January along with some of my industry faves, The Love Riot and Honey & Poppies. Leading up to it we just needed to spend some time together so I could adequately tap into the vibe they are sure to bring for their wedding day. We met over some mojitos at Habana, swapped stories, and then ventured out for some rainy day goodness at The Lab in Costa Mesa…one of my favorite spots. As you’ll see…the photo making process with these two yielded some pure gold.